What is the Xiaomi Mi 8 Lite? The Mi 8 Lite is the first affordable Xiaomi phone to come to the UK. Unless you’re a real fan of tech, or have looked at imported phones, you may not have heard of Xiaomi before. It’s the fourth most popular mobile brand in China, however, and one of the fastest-growing globally. 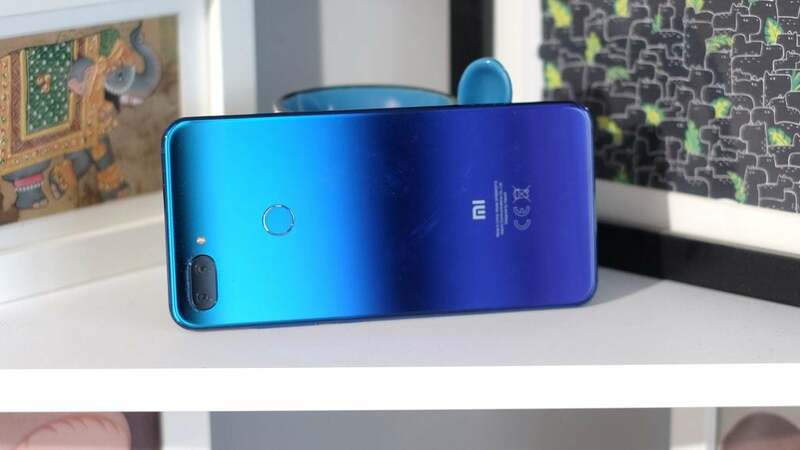 The £249 Xiaomi Mi 8 Lite (available on deal for even less from select retailers until the end of January 2019) should immediately make Xiaomi one of the go-to names for anyone after an affordable phone. It represents almost ludicrously good value for money, perhaps even beating the Honor 8X and Honor Play – two of the best-value phones of the past 12 months. Bad bits? While Xiaomi has made sure the usually China-centric MIUI software is palatable for us Westerners, its style is a little different to most. And in the UK and Europe, you miss out on one key appealing feature: Themes. If you told someone you paid twice as much for the Xiaomi Mi 8 Lite, they’d believe you. It has almost every design aspect usually associated with phones in the $500/£500-plus bracket. It’s metal and glass, there’s a display notch, slim screen borders and a finish that’s anything but boring. Our version has a highly reflective gradient: it’s purple at the bottom, aquamarine-tinged blue at the top. 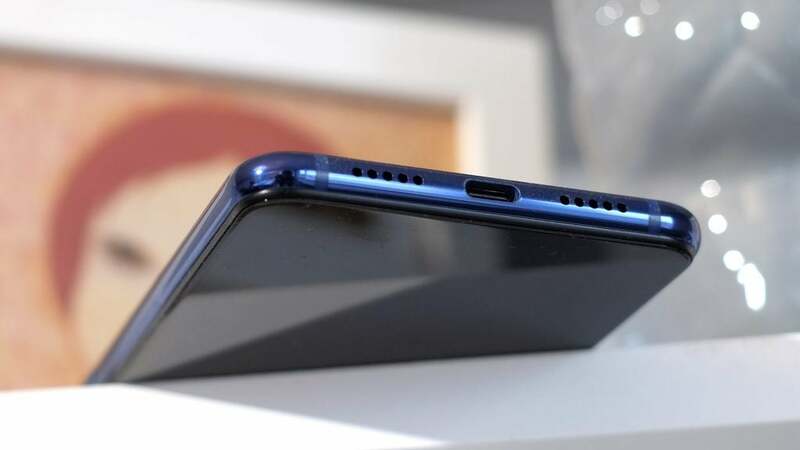 This is the kind of loud colouring I’d normally expect from Honor or Huawei, and the aluminium sides are a glossy blue to fit right in with the backplate. If you find this shading a little too intense, the Xiaomi Mi 8 Lite also comes in black. Just a year or so ago, affordable phones such as this would often slip in a bit of plastic to keep manufacturing costs down. But in the Xiaomi Mi 8 Lite, there’s almost no sign this is a cheaper handset. The side buttons are metal and feel good. At 7.5mm, it’s slim, and the 6.26-inch screen gives it the stature of a “flagship” phone. There’s a fast fingerprint scanner on the back, too. Other big brands might worry about a phone this affordable and expensive-looking cannibalising their higher-end models. Not Xiaomi, apparently. There’s a very thin band of plastic between the front glass and aluminium sides, but numerous expensive phones have such a band, too, including the Pixel 3 XL. It will act as an impact soak between the much harder metal and glass. Curves are what you’ll often get by spending more. 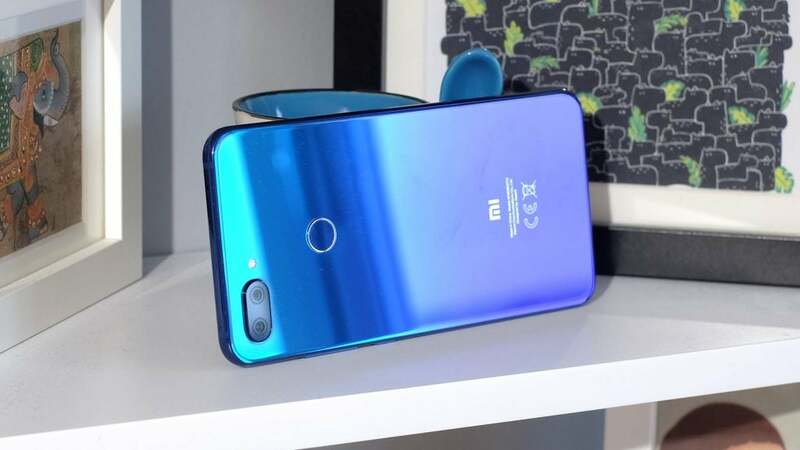 The Xiaomi Mi 8 Lite has 2.5D glass, meaning the edges are slightly rounded off – but truly curved and more rounded glass are still the preserve of the pricey. Its rear glass also lacks an oleophobic coating, which means fingerprints will be an issue. So, what else will annoy about the Mi Lite? In the UK at least, we get the 64GB model rather than 128GB. But this is more than generous for the price. The one true irritation is something more common among high-price phones than somewhat-affordable ones: there’s no headphone jack. You do get an adapter in the box, but if you’d rather have a 3.5mm socket then consider the Moto G6 Plus or Honor 8X. The Xiaomi Mi 8 Lite also lacks any official water-resistance. Like most phones, the internal design likely uses some strategies to keep rain away from the internals, but you’ll have to be extra careful around bodies of water. The Xiaomi Mi 8 Lite has a very large, very good screen. Measuring 6.26 inches across, it’s smaller than that of the OnePlus 6T, but still large enough to make games and video look great. 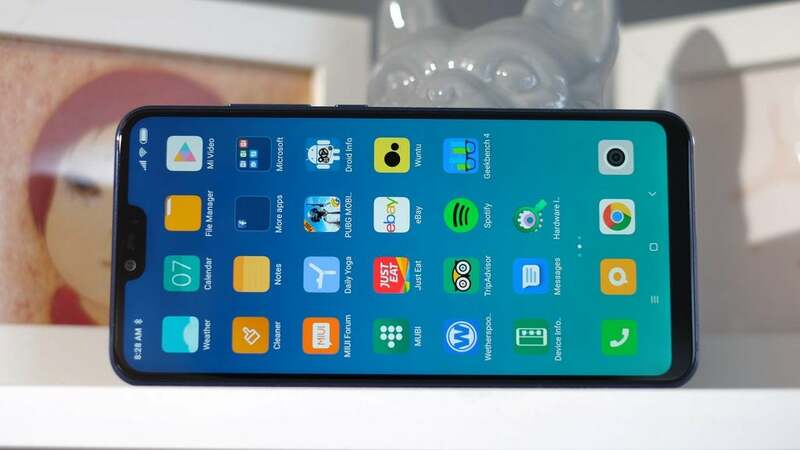 Like many phones with a notch, the aspect ratio is 19:9, and as such the Xiaomi Mi 8 Lite isn’t anywhere near as big as you might expect if this is your first “ultra-long” screen phone. Amazon once made a 6-inch screen tablet, but this is only about as wide as the Moto G6 Plus. Colours are vibrant, contrast only perceptibly worse than the best LCDs at an angle in a dim room, and maximum brightness is high enough to make the display readable on a sunny day. It’s also a 2160 x 1080 pixel panel, thoroughly showing up the Moto One, which has only 1520 x 720 pixels. The difference between the Xiaomi’s screen and the displays of some £600 phones isn’t glaringly obvious. 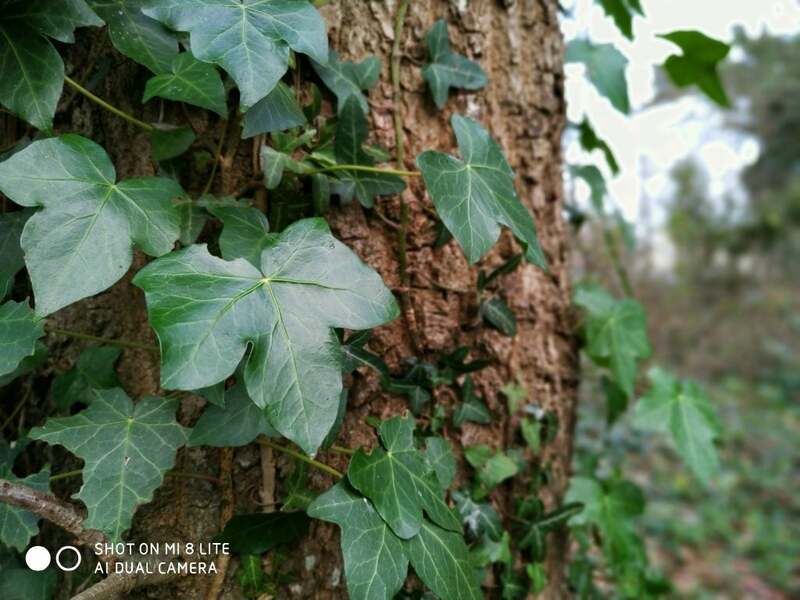 The latter may be more pixel-dense and have wider colour gamuts, but the Xiaomi Mi 8 Lite can make content look rich and natural. There are a few controls over the display character, too, although not as many as are found elsewhere. 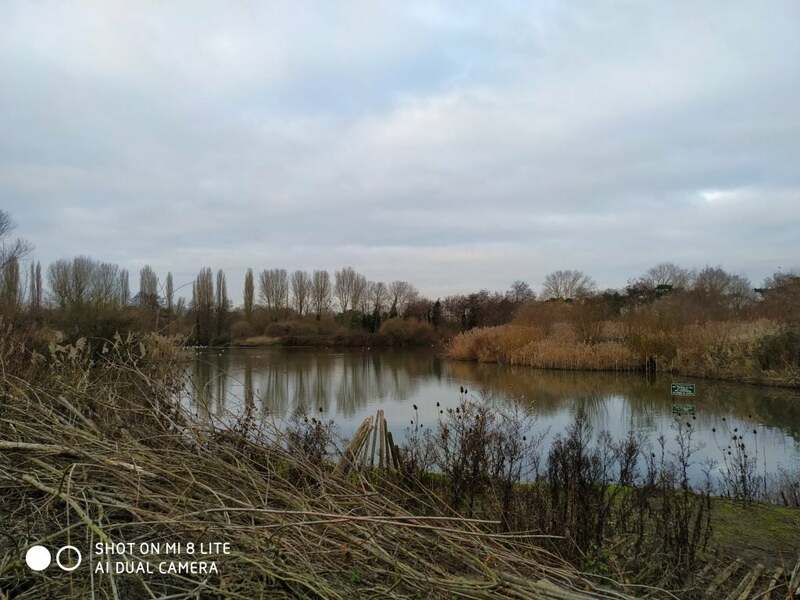 You can fiddle with the colour temperature and there are three different contrast modes, but there are no colour saturation settings. 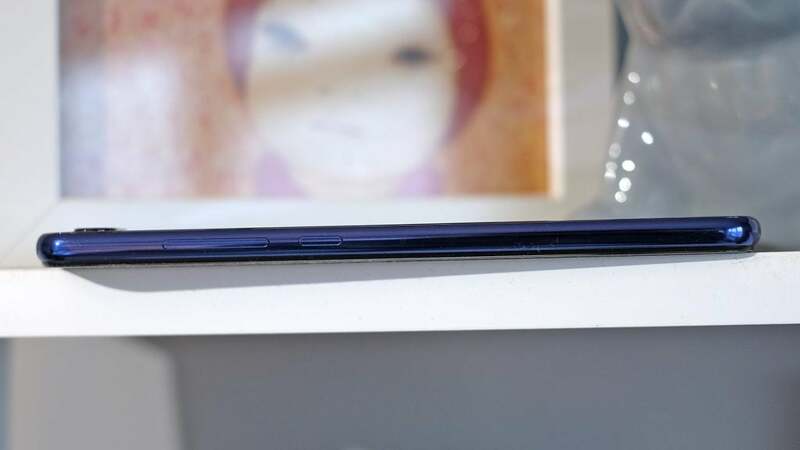 Xiaomi also lets you hide the Mi 8 Lite’s notch, although this is the one area that it falls down. As usual, hiding the notch fills the top part of the screen with black, and then peppers it with a few notification icons. However, for some reason, it also fills in a few millimetres below the notch, making the screen border far more top-heavy than it needs to be. This could theoretically be solved with a software update. It seems designed to emulate a standard 18:9 view but mucks up the look of the homescreens slightly. Keep the notch in place, though, and this is one of the best-looking screens for the price. The Xiaomi Mi 8 Lite runs Android 8.1.0 and MIUI 10.0. There are two obvious stumbling points here. First, most brand-new phones now feature Android 9.0 – and, well, what on earth is MIUI? It’s Xiaomi’s custom Android interface. In most respects, it’s a perfectly serviceable interface that actually looks cleaner and simpler than what the likes of LG and HTC use at present. 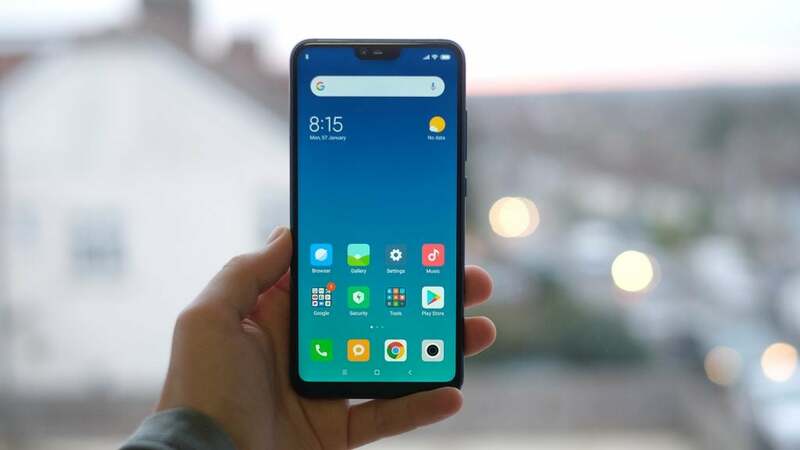 Xiaomi has flushed out all the Tencent, Weibo and WeChat apps you might find in a Xiaomi import and there are actually fewer curiosities than Huawei’s interface. There’s no lock-screen of stock images, and almost all the pre-installed apps are basic tools rather than “value added” software – the primary cause of bloat. MIUI Forum is the one possible exception. It is, as the title suggests, an old-school forum where people discuss all things Xiaomi and MIUI. But since you’re taken to the English language forums, it isn’t disorientating. Xiaomi has, for the most part, done a great job of making the Mi 8 Lite ready for the average UK buyer. There is one issue, though. Themes are the biggest part of the MIUI community. They work just as they do in other custom UIs, changing backgrounds and icons to give your phone a fresh look. 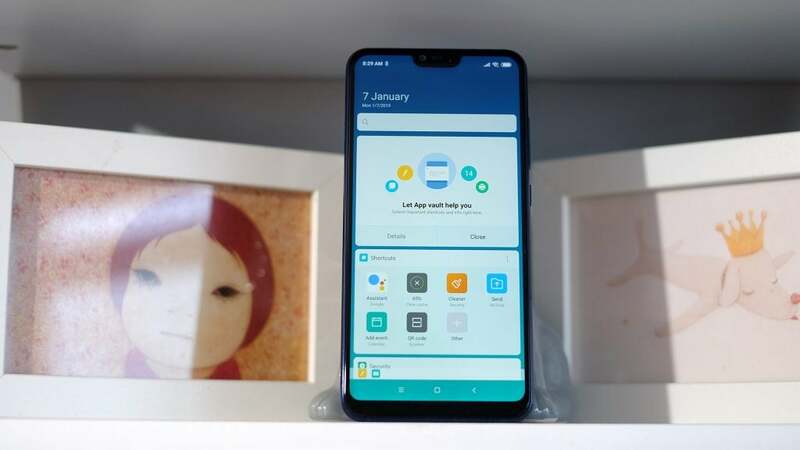 The UK Xiaomi Mi 8 Lite does use Themes but you have no access to the Themes store, and therefore no easy way to download them. Digging a little deeper, this seems likely a reaction to GDPR, the set of EU regulations designed to firm-up data protection and privacy. There are two preinstalled Themes, both of which are tasteful. But considering this may well end up being Xiaomi’s most popular UK launch phone, a few more options would be welcome. In time, Xiaomi may alter its Theme platform for GDPR compliance, which in practice would mean an update will simply unlock access to the Themes store. Also missing from MIUI 10.0 is a separate apps drawer and, unlike Huawei’s UI, you can’t reinstate it by digging around in the Settings menu. As such your app icons just end up on the homescreens, nudging you gently towards using folders – unless you have few enough apps to populate a page or two. An app drawer option would be welcome. General performance of the Xiaomi Mi 8 Lite is excellent at the price. There’s no phantom lag, unlike the Nokia 7.1, apps are fairly quick to load and stay a good amount of time in their “parked” state, allowing you access through the multitasking screen without having to fully re-load them. This is thanks to the inclusion of a solid amount of RAM: 4GB. I encountered just one bug while using the Xiaomi Mi 8 Lite. At one point, the WhatsApp icon shifted upwards on the homescreen by 10 pixels or so. It’s one of the more unusual glitches I’ve seen in a while; the phone equivalent of an askew picture frame. Otherwise, the phone continued to work fine, and a restart sorted the issue. This is one of the best phones available in its class for gaming. It has a Snapdragon 660 processor, an octa-core chipset with Kryo 260 cores, and an Adreno 512 GPU. This is much more powerful than the CPUs of the Moto One, Nokia 7.1 or the Samsung Galaxy A7. It only has one real rival, the Honor Play, whose Kirin 970 CPU and Mali-G72 MP12 GPU are more powerful still. 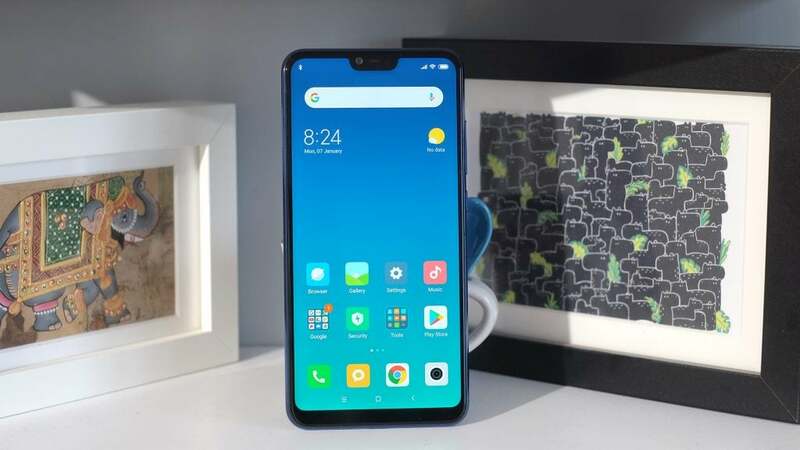 The Xiaomi Mi 8 Lite scores 5891 points in Geekbench 4, the Honor Play around 6600. The real-world difference is minor. Xiaomi’s Mi 8 Lite can handle Asphalt 8 at High graphics settings. And while you need to juggle the resolution slider or drop down from “Epic” textures in Ark: Survival Evolved, this phone is a full league ahead of most at the price in terms of pure gaming performance. 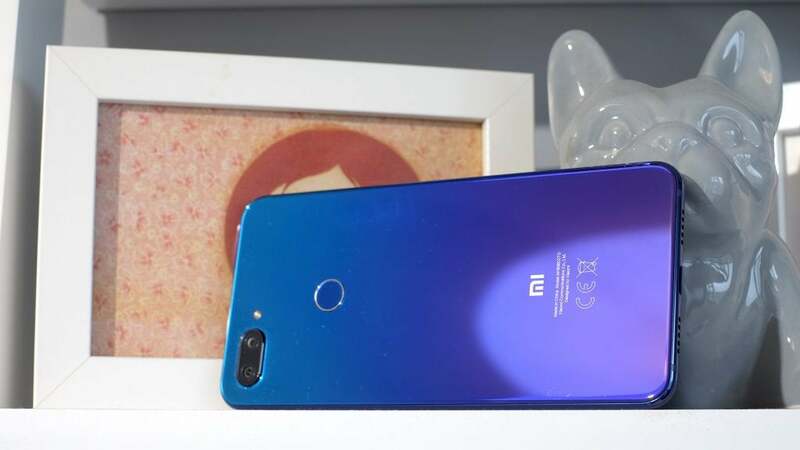 The Xiaomi Mi 8 Lite has a surprisingly good internal speaker, too, which is one area I expected to be neglected as part of Xiaomi’s cost-saving measures. However, it’s loud, there’s some extra low-end power, and it sounds composed even at top volume. This is perhaps the one excuse for leaving out the headphone jack. If a jack sat at the bottom of the device, Xiaomi would likely have had to make the speaker enclosure smaller. Bringing this love-in back down to earth, the Mi 8 Lite speaker is a mono driver on the bottom. There’s no stereo effect here. 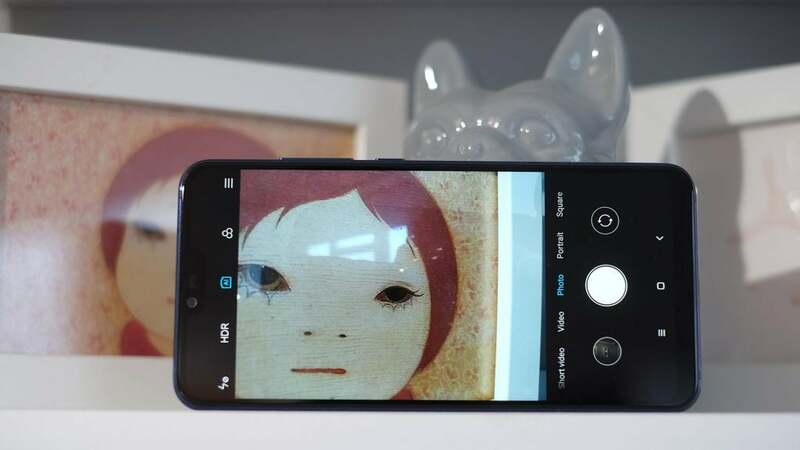 The Xiaomi Mi 8 Lite has unusually good hardware considering its price, and this is also true of its cameras. 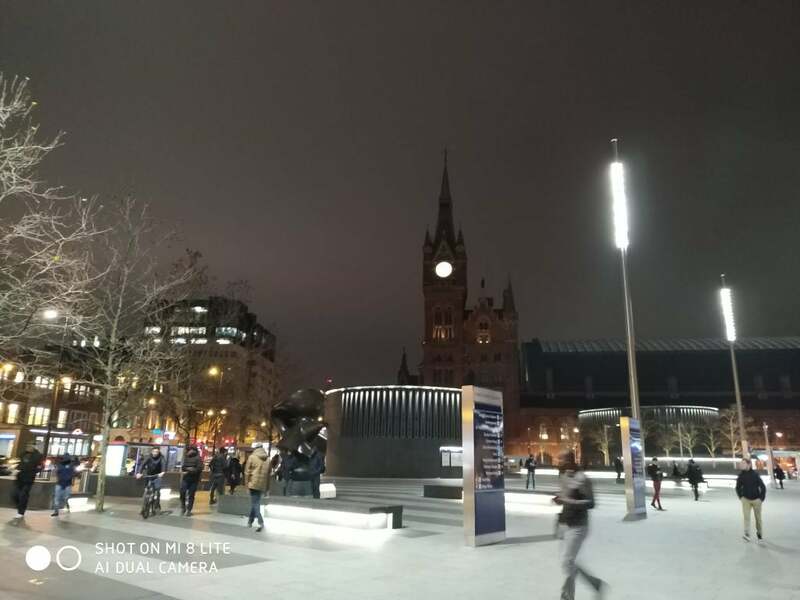 You won’t find anything as flashy as the Nokia 7 Plus’s 2x zoom – the array is fairly conventional – but the sensors are all rather impressive. On the back is a 12-megapixel main sensor and a secondary 5-megapixel depth sensor. These are reportedly the Sony IMX363 (12MP) and a Samsung S5K5E8 (5MP). The use of these different brands is testament to Xiaomi’s attempt to fit the best tech possible at the price. Around the front sits a 24-megapixel Sony IMX576 sensor. The Xiaomi Mi 8 Lite is among the best in class in terms of the simple experience of shooting. There’s almost no shutter lag, focusing is reasonably fast, and it can focus on fairly close-up objects with no major issues. Like Huawei and Honor, Xiaomi also makes a big issue of “AI” shooting. It’s a mode you can switch on and off from the camera app’s top layer. I often recommend turning it off in Huawei phones, but the Xiaomi Mi 8 Lite is a different case entirely. Most AI camera modes tend to oversaturate colours, making food, grass and skies look larger than life; as if put through a bold filter. 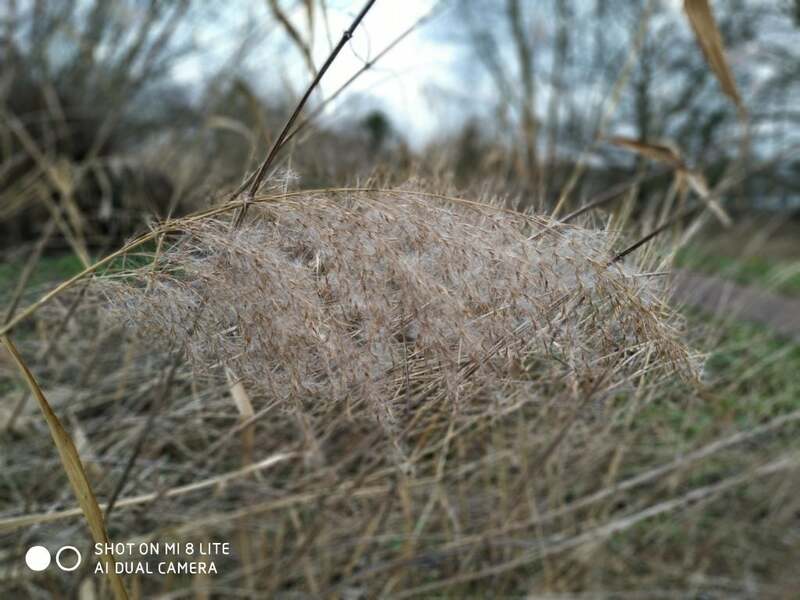 Xiaomi’s seems to affect exposure and dynamic range more notably. 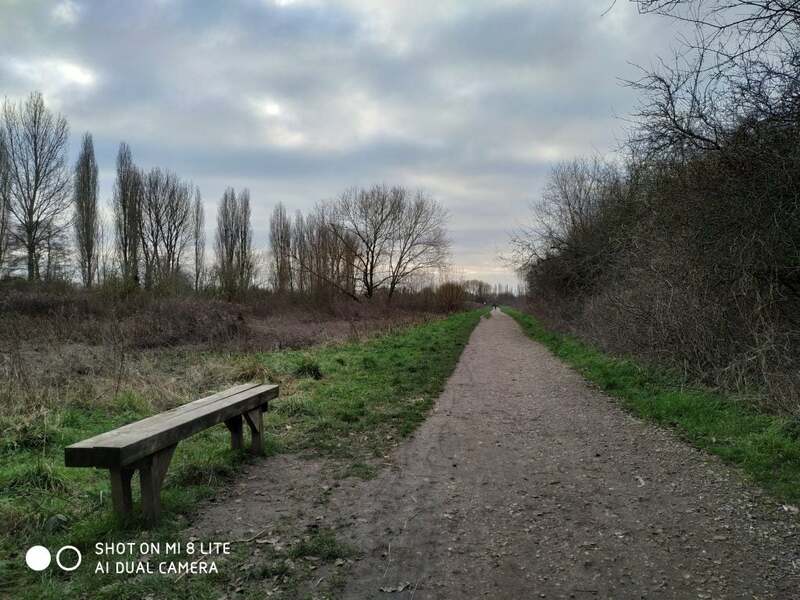 The dynamic range of non-AI shots often looks a little limited even with Auto HDR engaged, and many scenes become much more lively-looking with AI turned back on. During the day, I’d recommend using AI most of the time. This changes a little at night, though. The AI mode is still obsessed with producing bright shots, but this is often at the expense of highlights, which end up blown out. Brighter areas of an image become blocks of white. You’ll often see more nuanced results by switching AI off and turning HDR from Auto to “on”, which retains more highlight detail. The AI mode also helps reduce noise, however, so there’s a trade-off to be made in this regard. The Xiaomi Mi 8 Lite isn’t a low-light master with any configuration of modes, but it’s better than some in this class. Its handling of dreary indoor scenes is surprisingly good, with decent retention of detail, most likely thanks to the main sensor’s large 1.4-micron pixels. It can’t get close to the true top-night performers, because the camera isn’t optically stabilised. Portrait mode is one other feature worth mentioning. This is the now-common depth mode, which uses the second sensor to blur out the background in images, for a visual effect similar to that of a larger wide-aperture lens. 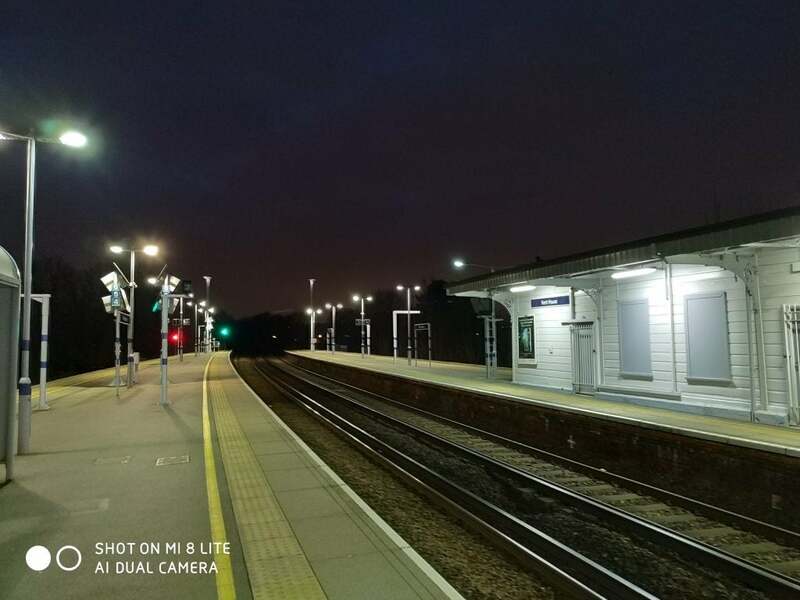 As with night shooting performance, the Xiaomi Mi 8 Lite does better than most of its rivals. Feed it a less challenging depth scene and you get alluring results. But that depth sensor is still just a 5-megapixel chip, which puts more pressure on the depth algorithm. It often falters with more challenging scenes, struggling to map the outlines of more complicated objects and producing weird results when the subject is far away. The Xiaomi Mi 8 Lite’s video is interesting, too. It can shoot footage at up to 4K resolution (30fps) and advertises electronic stabilisation for 1080p and 4K capture. Stabilised 4K is almost unheard of at this level. Don’t get your hopes up too much, though. 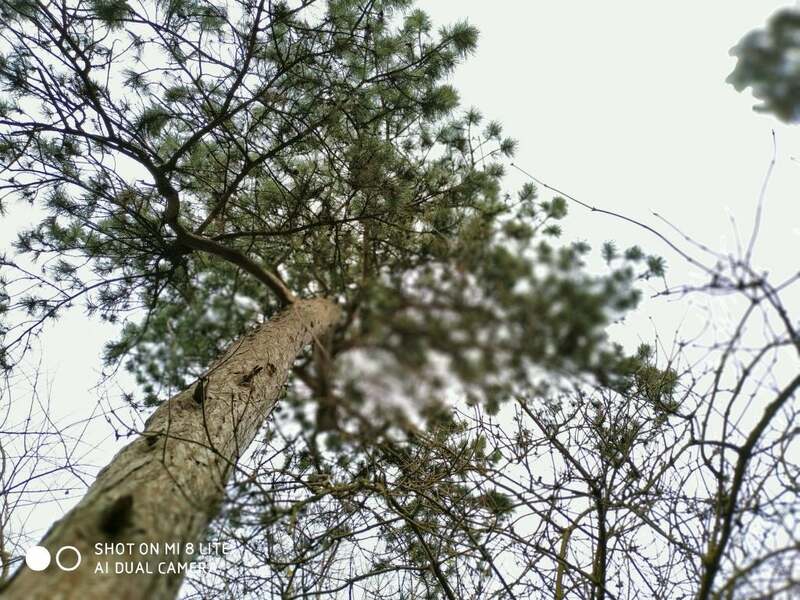 The Xiaomi Mi 8 Lite doesn’t crop into the sensor above 1080p, and without spare sensor space outside the captured scene, there’s no scope for electronic stabilisation. My best bet is that 4K footage uses the uncaptured footage above and below to try to reduce judder: the sensor is of 4:3 aspect, mobile phone “4K” is 16:9. 4K stabilisation isn’t very effective, but 1080p stabilisation is, dramatically reducing hand judder. 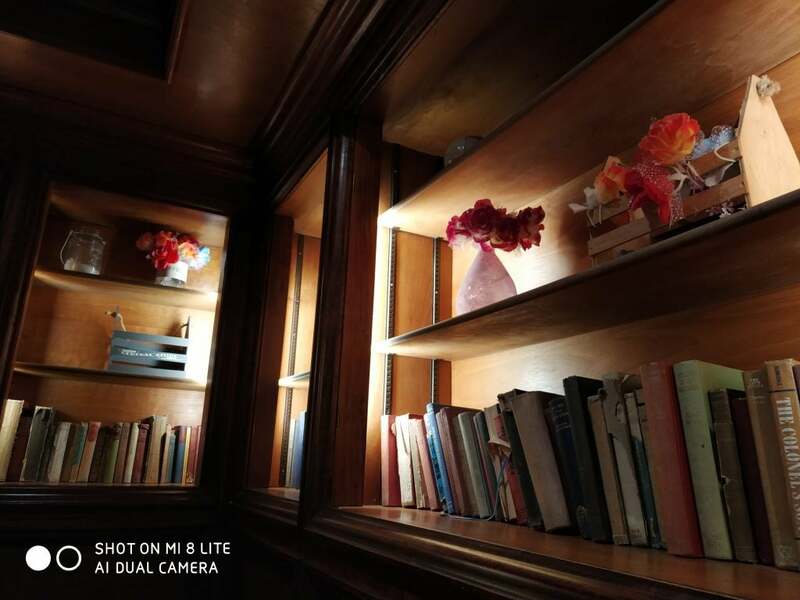 The Xiaomi Mi 8 Lite’s front camera is similarly impressive, but again isn’t perfect. Its 24-megapixel sensor leads its class in terms of detail capture, and it uses pixel-binning (grouping the image data from clusters of pixels to create a higher fidelity image at the expense of resolution, relative to the camera’s sensor’s original megapixel count) in low light. This makes selfies that other phones would reduce to mush look clear. A good amount of fine detail is retained, even in dim light. And when it gets too dark you can use the screen as a makeshift flash. The lens uses a fixed focus, reducing your photographic options slightly, but you can still get pretty close without losing focus. 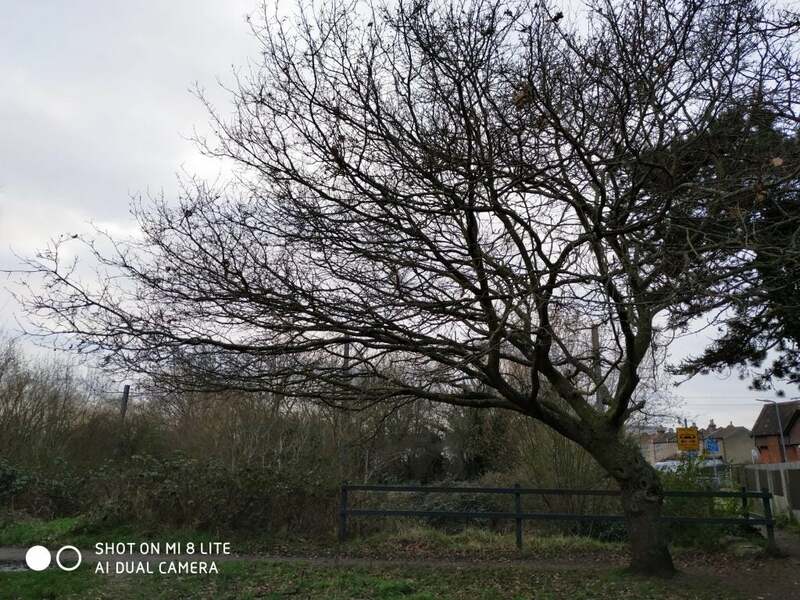 Considering everything from shooting speed to selfie quality, video capture options and the image quality you can get using the right modes, the Xiaomi Mi 8 Lite is one of the very best sub-£250 phone cameras you can get. The Xiaomi Mi 8 Lite has a 3350mAh battery. While this sounds fairly impressive, battery life is one of the few areas where the Xiaomi is decent, as opposed to trampling most rivals. The device will survive a full day of solid mid-to-heavy use. My current predilection is for podcasts, and on one chore-filled Saturday, I must have streamed about 10-12 hours’ worth. The Xiaomi Mi 8 Lite kept going until bedtime, if only with a few dregs of charge left. On other days it has finished up at 11:30pm with around 20% charge remaining. Stamina is therefore good; the phone is reliable, but it won’t outlast a Moto G6 Play or Xiaomi’s own Pocophone F1. There’s no wireless charging hardware in the Xiaomi Mi 8 Lite. However, it does have a USB-C charge socket and fast charging, which is now an important feature in making a phone seem current. Why buy the Xiaomi Mi 8 Lite? The Xiaomi Mi 8 Lite is one of the best phone deals of the year so far. Sure, we’re reviewing it in January, but the only companies we can see getting close to matching it any time soon are Honor and Motorola. Its design is smart, the cameras surprisingly capable, and the display is sharp and clear. The processor is a good league ahead of most. Its software is the only part to be wary of if you consider the natural limitations of a phone selling at this sort of price. MIUI doesn’t allow an app drawer, so if you want one you’ll have to use a custom launcher. This isn’t difficult, but does effectively wipe off Xiaomi’s entire front-end. 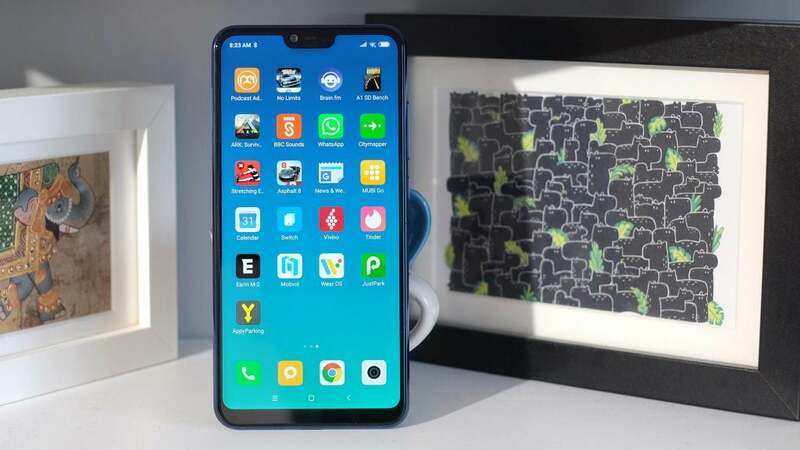 The post Xiaomi Mi 8 Lite appeared first on Trusted Reviews.